Whilst social media has had a surge in popularity over recent years, email marketing remains one of the highest ROI and most measurable tools available for businesses and marketers. Yet its most often under utilised. When was the last time you sent an email to your database? Do you even have a database? We have several techniques we can implement depending on what stage you are at to ensure you’re making the most of this key online marketing tool. Whether you are looking to grow your database, or wanting to create regular engagement we tailor a strategy to your specific needs. With services such as lead generation, lead nurturing, regular communication plans, as well as cart abandonment among others, we’re able to incorporate an email marketing strategy to not only increase traffic but increase leads and conversions for your business as well. As with all marketing, email marketing starts with a strong brand identity and voice. For this reason your web designer will work closely with you to devise a strategy and design for your email campaigns that resonates with these elements. Don’t worry if you aren’t sure what you’re going to say to your database, we help you devise a strategy for this as well! Every business is different and so is every audience. Understanding your business and your audience is the first step in any marketing campaign but is even more important when it comes to getting traction with an email marketing campaign. We work closely with you to tailor a strategy that regularly engages your audience, and we incorporate a full service approach. From the strategy to the design, the content and most importantly the schedule, we work with you on every element of your email marketing campaign. And we provide you with a monthly report so you have complete visibility. We’re firm believers that every business should incorporate email in their overall online marketing strategy, however it is often most successful when supported by other techniques. Content marketing and social media all go hand in hand with email marketing. For the best possible results for your online marketing we recommend you speak with one of our experts to tailor a marketing strategy specific to your needs. Contact us for a free, no obligation consultation. 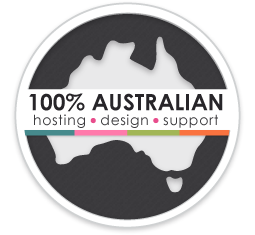 100% Australian website design. 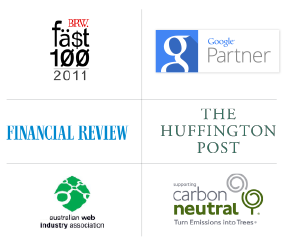 We are Australian owned and our marketing experts are all based here.